More on zanshin and a bit on kendo internet etiquette. Thank you Martin for giving me two topics to write about this week. When I started this blog quite a few years ago, I was warned that a blog written by a seventh dan was doomed to failure because kendo’s respect system would kill debate. This has not been the case and Kendoinfo has received close to 2000 comments. Quite a few of these have been challenging, but nearly all were good natured. I don’t usually respond to comments, but commenting on the “stupidity” of someone’s view is not in line with kendo etiquette. 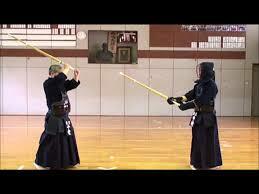 It is also worth bearing in mind that the topic is kendo, not tameshigiri. I also can’t see how you made the assumptions that I advocate taking your eyes off or turning away from your opponent. The whole theme of my post was that zanshin is vital to kendo, and awareness of your opponent is the essence of zanshin. Keeping these points out of the equation, our key disagreement is over the correct zanshin for hiki waza. You have suggested that keeping your shinai raised is both “furikaburi” and jodan. Furikaburi means to swing up, not keep up, and jodan requires a great deal of hand foot coordination that goes beyond pointing your shinai skywards. I remember Chiba sensei’s advice to a casual jodan player who asked him how to do better jodan. The answer was “stick to chudan”. I have always made a point of approving all comments to this blog and I thank you for contributing and look forward to hearing from you again. Please though, let’s keep within the spirit of kendo’s reigi. Every kendo technique ends with zanshin. It is that piece at the end of an attack where we move clear of our opponent to regain the initiative to attack again if the first attempt was not successful. In the old days of mortal combat it would be a matter of moving yourself to a safe position to check that either the job was successful or that you still needed to finish your opponent off. Zanshin is still an integral part of scoring in kendo. The instructions for making or judging a successful yuko- datotsu always end with “followed by zanshin”. The concept is quite simple – you hit the target, take three or four steps past your opponent and turn forwards as you assume kamae and the readiness to strike again if necessary. This is by and large the formula. There are of course exceptions. If your zanshin follows a technique where you move to a diagonal position with your opponent, it may be sufficient to stay on the spot, regain your kamae and simply look confident. I regularly see people try to adopt the 3 steps though approach at the cost of compromising their posture. There is a common tendency for new kendo students to attack, raise the shinai, move past their opponent and then retake chudan whilst stepping backwards. This is incorrect. You should always turn forwards into chudan, in doing so both protecting yourself and regaining the initiative. As you go through the shinai should remain in the same position as your cut, so for instance at men height. It should not be raised in celebration or the outcome could be tori-keshi. The attitude of good zanshin should be one of kigurai and not boastfulness. You make your initial attack with 100 per cent commitment. Survey the results from a safe distance whilst retaining your physical and mental readiness to attack again if it is needed. It is definitely not the opportunity for celebration or show-boating. Another great question! This time from Guiherme in Brazil, who asks how to vary his timing and mentions that as he becomes tired he operates at one speed. 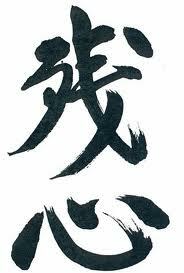 In kendo we hear the expression “ kan-kyu-kyo-jaku” , the approximate meaning of which is -kan (緩) slow, kyu (急) quick, kyo(強) strong, – jyaku (弱) weak/soft. To be honest we hear a lot more about this within Iai where it appears to be a requisite component of the 4th and 5th dan grading. In kendo, within my limited understanding, it is the change in pace and rhythm from keeping a strong deliberate kamae to exploding into action as soon as you make or see a chance to attack. The late Kikuchi sensei talked about being “like a feather in a hurricane”, that is to say light and unfettered but then able to immediately change into explosive action. 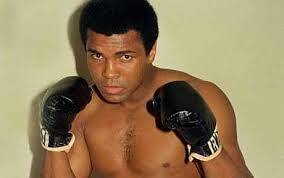 The great boxer Muhammed Ali described the process as “float like a butterfly, sting like a bee”. However you describe it we need to change our timing to reflect circumstances and opportunities. We practice kakarigeiko in order to be able to attack quickly. This does not mean that our jigeiko or shiai should be at a continuous flat-out pace from hajime, rather we should take our time to read and control the opponent, probe and push for an opportunity to attack and when we find it strike instantly. The point of attack is when we need maximum acceleration and this comes from the left foot, which is why hikitsuke or immediately bringing up the left foot after moving the right is so important. After making a successful strike we again slow the rhythm by making strong, deliberate zanshin, whilst being ready to explode into action again if required. The only time when we keep the accelerator down is in renzoku waza, where we use continued speed of attack to keep the opponent under pressure unti we score a clear point. In terms of the “hard” and “soft” elements, in my mind these could be better explained as “sharp” and “soft”. Our cutting action should be soft and fluid until the point of impact and beyond. 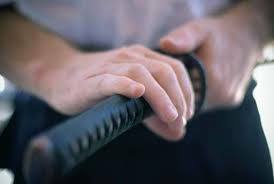 Our arms and shoulders should still be relaxed when the shinai makes contact with the target. The only change is the impact added to the strike by our tenouchi when we squeeze the tsukagawa. In some ways we are overly complicating what nature makes simple. If you watch heron fishing, or a snake stalking its prey, they stay perfectly still until the perfect time to attack and then grab their dinner in an instant, getting the maximum return for a minimal energy investment. The kendo referee’s rulebook describes zanshin as one of the necessary elements of a successful yuko datotsu. In simple terms zanshin is the mental state and physical posture that allows you to respond to a counterattack after you make a strike. If zanshin is not present after an attack in shiai, the point is either ignored by the referees or results in tori keshi, where ippon is awarded and then taken away. 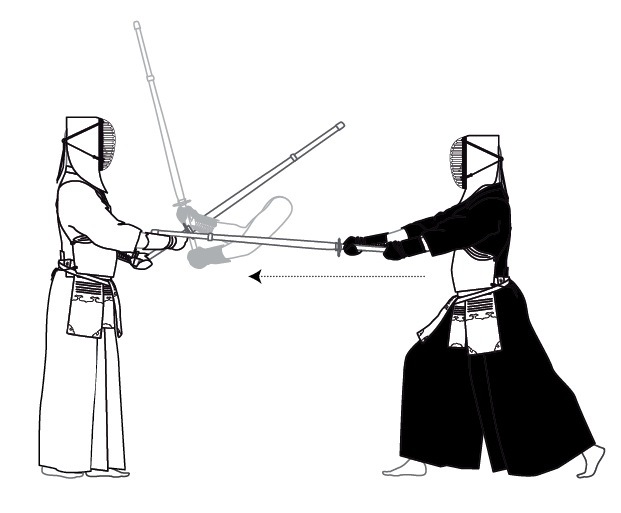 Typically zanshin is the process of going past your opponent after an attack and once you are in safe distance, turning to face him or her in chudan. If you are unable to go through then you need to have the tip of your shinai pointed firmly at their throat or centre. Most kendoka are aware of the need for zanshin, but many of us do not incorporate correct zanshin into their basic kihon training or in some cases jigeiko. To work it has to be practiced an essential part of each technique and not occasionally switched on when required. I often see examples where after a good men strike, the attacker will relax as he or she moves through after striking. You can almost sense a feeling of relief as chudan is dropped as they move past their opponent. I have even seen players release one hand from the shinai after striking. More often this lack of zanshin is manifested by a slowing of pace and loss of posture after the attack. Another clear indication that zanshin is not present is where a player takes a number of steps forward past their opponent, turns and takes chudan kamae whilst stepping backwards. This is obviously a weak position and he could be easily overwhelmed if his opponent made a strong forward attack at this time. To ensure that zanshin is there when you need it, you should practice it as an integral part of each technique, even in the most basic of drills. So for example in men uchikomi geiko you should step forward into your opponents distance, strike men, take 3 or 4 steps past your partner, keeping the tip of your shinai forward, then turn, stepping forward in chudan into correct distance. This forward movement should be assertive to the point of becoming your next seme. Correct kakarigeiko is a great way to develop zanshin as you work on a pattern of seme, strike, go through with correct zanshin, turn, move forward into seme and strike again. If practiced this way zanshin becomes an integral part of each technique, not an additional element for use in shiai or grading examinations.